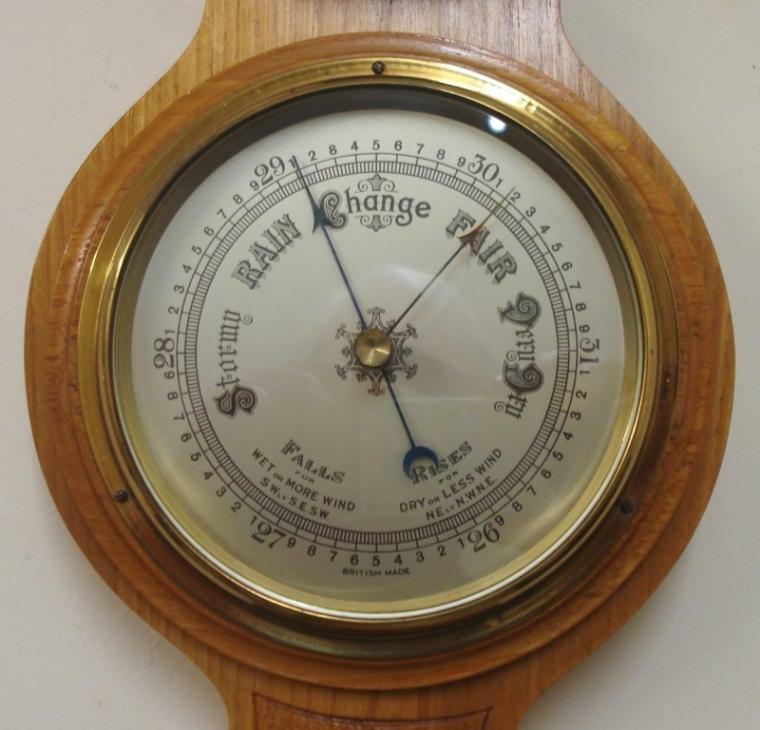 Stock Number: BARO014 - British Light Oak Aneroid Barometer - £175. 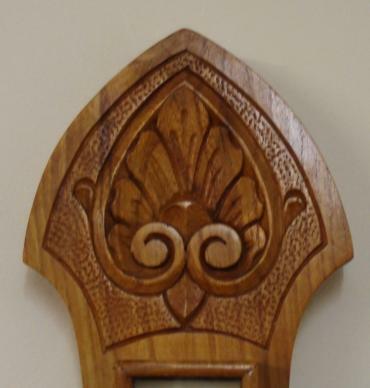 British aneroid barometer in a light oak solid wood carved and moulded case circa 1930s. Circular brass bezel with chamfered glass over a silvered dial with black painted pressure index, blued steel pressure indicator and brass history pointer. Separate red alcohol Fahrenheit and Centigrade thermometer. 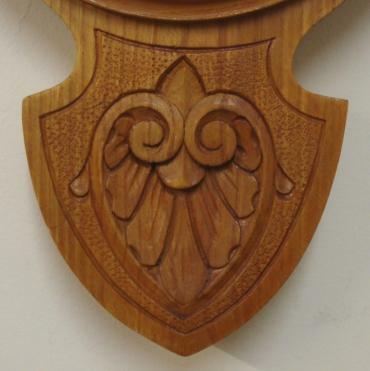 Dimensions: - Height 22.5", width 7", depth 2.5".